Version-7 consists 2 files, you have to install both files in mt4, otherwise EA will not function properly. 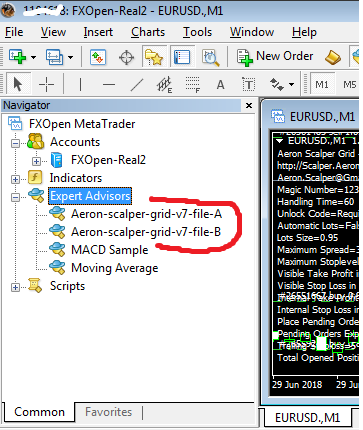 Installation procedure of Aeron(Scalper+Grid) Expert Advisor in your MT4. 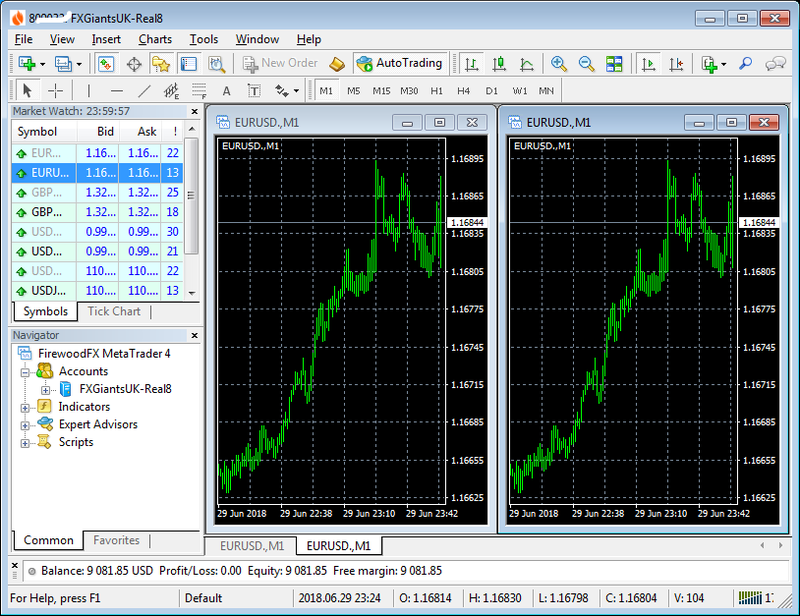 Now in your MT4 terminal click on File menu, then click on Open Data Folder. Now put the both EA files here in this folder and close all opened folders. Now close and restart your MT4 terminal. Now Drag and drop the Aeron-scalper-grid-v7-file-A on first chart and Drag-n-Drop the Aeron-scalper-grid-v7-file-B on another chart. Now click on OK button and you should see smiling face on top right corner of both charts and some important information on both charts like following. If you are getting like above (i.e. 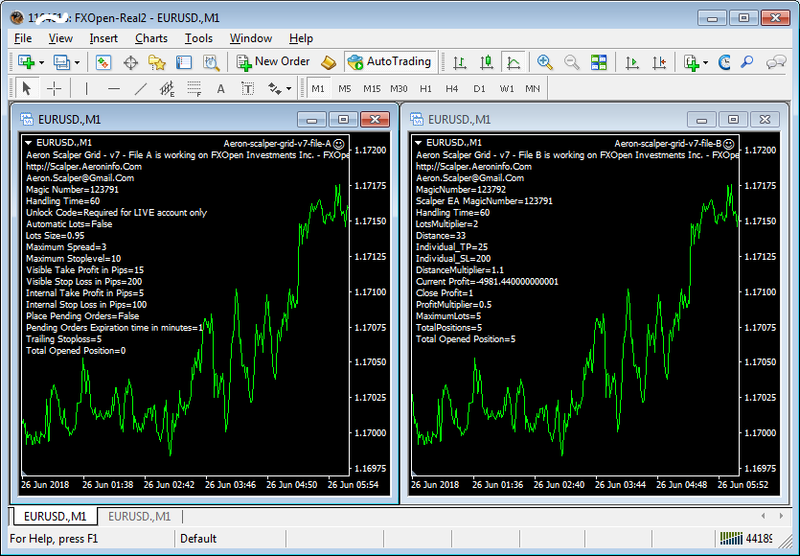 smiling faces on both charts), then you have successfully installed both EA files in your MT4 terminal. If face is smiling then all is done! 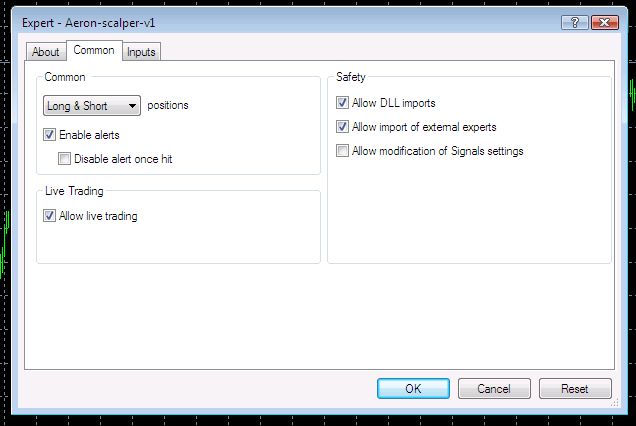 Click here to set up Aeron-Scalper-Grid-File-A EA's input parameters. Click here to set up Aeron-Scalper-Grid-File-B EA's input parameters.